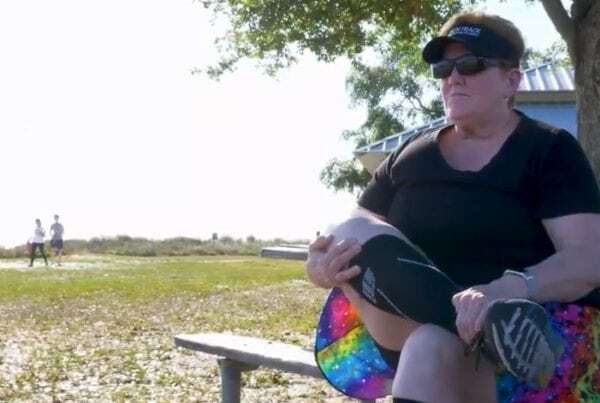 After the first total knee replacement surgery was performed in 1968, knee replacement surgery has continually evolved in its usefulness, effectiveness, and overall success. 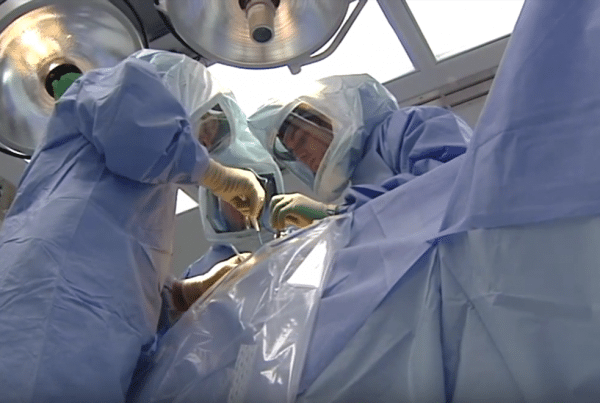 Developments in surgical practices, coupled with the use of innovative technologies, make the replacement of your total knee one of the most successful surgeries. Knee replacement procedures continue to grow, year over year, with almost a million successful replacements every year in the United States alone. Total knee replacement surgery is a procedure that replaces the infected, and increasingly painful, joint in your knee with space-age materials designed especially for your knee. If you’re searching for medical information about, as well as expert care for, a knee replacement, look no further. 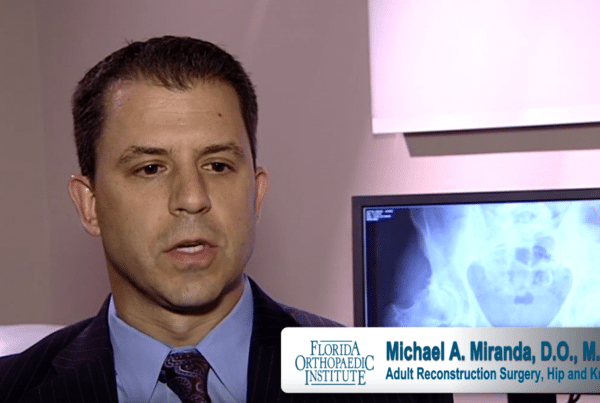 Florida Orthopaedic Institute’s fellowship-trained surgeons are renowned specialists in this field. We hope you find this information helpful in further understanding what a total knee replacement involves. Your knee joint is where the thigh (femur) bone of the thigh meets the shin (tibia) bone of the lower leg. For the knee to move smoothly, all the components of the knee (bones, cartilage, synovial membrane, ligaments, tendons and muscles) must work together correctly. 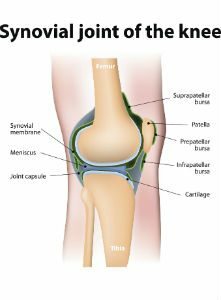 In the knee joint, cartilage acts as a protective cushioning to keep the bones from rubbing against one another. A thin, smooth tissue liner called the synovial membrane releases a fluid that lubricates the knee, reducing friction as the bones move in a healthy knee. Arthritis wears away the cartilage between the thigh bone and the shin bone. This causes the two bones to scrape against each other – bone on bone. 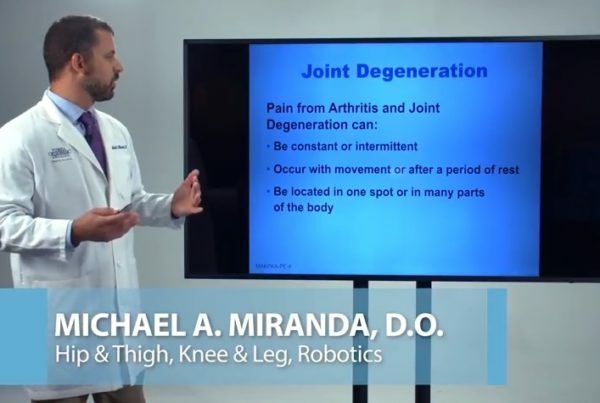 The joint becomes pitted, eroded and uneven, resulting in pain, stiffness, and instability. The motion of the leg may be significantly limited in some cases. Osteoarthritis is the most common form of arthritis in the United States. 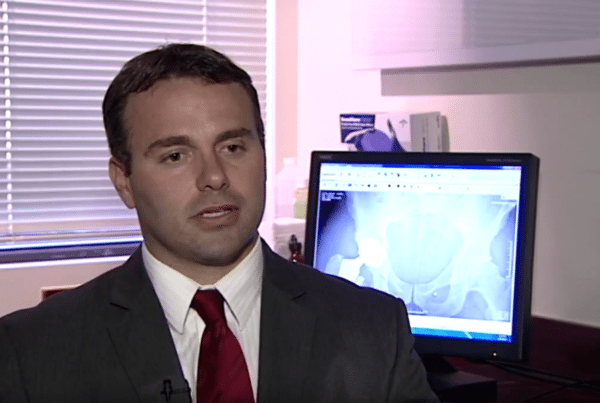 It most often occurs in patients over the age of 50 but can occur at any age, especially if the joint is damaged. It is sometimes referred to as “wear and tear” arthritis. 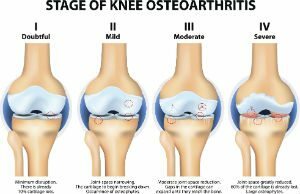 Most cases of osteoarthritis occur when the knee simply wears out but conditions sometimes speed up when there’s a previous knee injury. There may also be a genetic predisposition in people who develop osteoarthritis of the knee. Osteoarthritis of the knee is the most common cause for total knee replacement surgery. 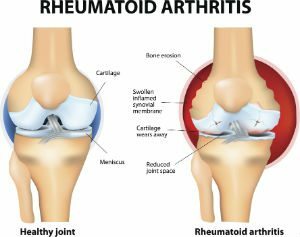 Rheumatoid arthritis is a chronic inflammatory disease that results in joint pain, stiffness and swelling, unlike osteoarthritis, which is a “wear and tear” condition. There can be severe and rapid deterioration of multiple joints, resulting in severe pain and loss of function. In rheumatoid arthritis, the body’s immune system (which is designed to protect us by attacking things like viruses and bacteria) attacks the synovium – thin membrane that lines the joints. Fluid builds up in the joints, causing pain in the joints and inflammation that can occur throughout the body. 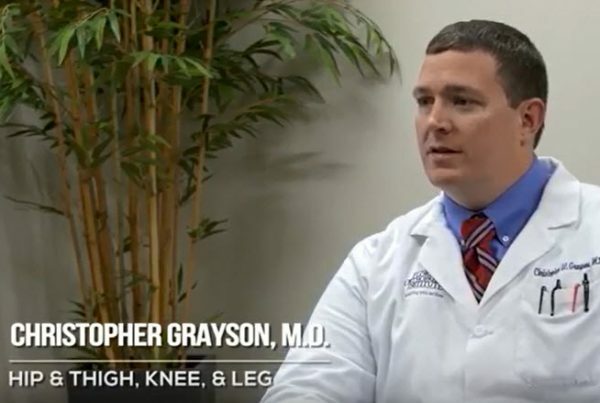 If your knee is damaged to the extent that it is difficult for you to maintain your active lifestyle or you start to experience chronic pain, a total knee replacement can help. 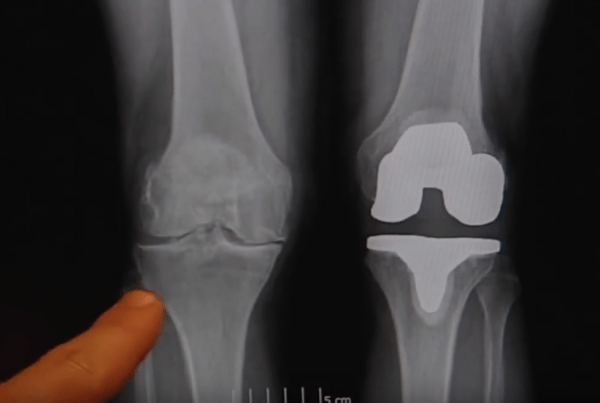 A knee replacement, sometimes referred to as total knee arthroplasty, may be more accurately described as a knee “resurfacing” since the actual procedure replaces only the surface of the bones that make up the knee. 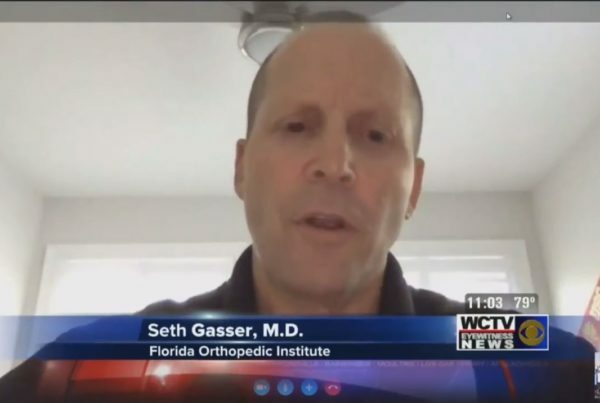 Your Florida Orthopaedic Institute physician will use a wide variety of non-surgical measures to help your osteoarthritis or rheumatoid arthritis. These can include medications, behavioral and lifestyle changes, physical therapy and joint fluid therapy. 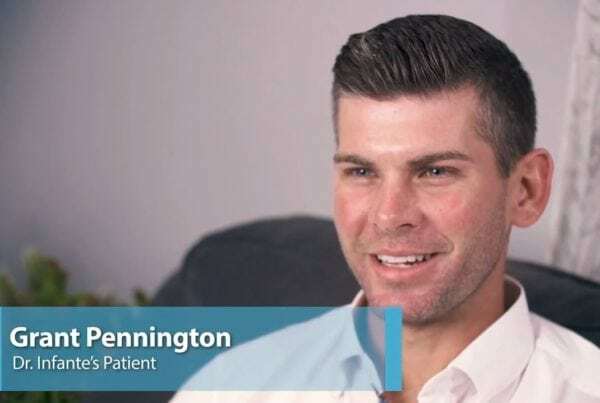 If non-surgical methods do not result in decreased pain, you and your surgeon can decide if total knee replacement is the best treatment option to relieve your pain and help you return to an improved functional level. After a total knee replacement surgery, a physical therapist is assigned to assist you during your recovery. 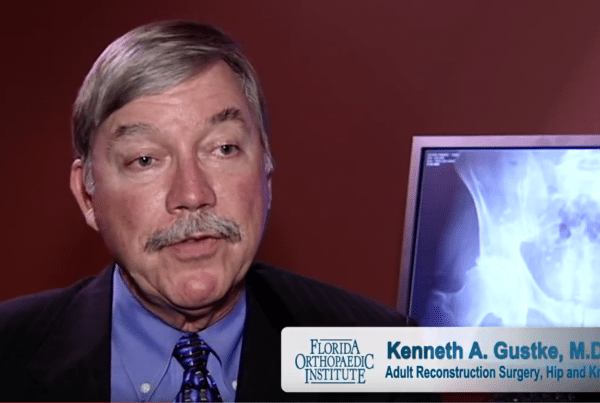 Our Florida Orthopaedic Institute total knee replacement surgeons work together with our physical therapists to ensure you are getting the best care available throughout your rehabilitation. If you’re considering knee replacement is in your future, VERILAST® Knee Technology from Smith & Nephew is one of the truly significant advancements in joint replacement materials in the past 20 years. It addresses one of the most commonly cited concerns associated with knee replacement implants – implant wear. For the plastic inserts, XLPE ( a special high density polyethylene) reduces the amount of wear against the metal component. The thighbone portion of the VERILAST® implant is made from OXINIUM Oxidized Zirconium – a process that transforms the implant’s surface into a hard, ceramicised metal. It’s more than twice as hard and twice as scratch resistant versus a cobalt chrome implant. 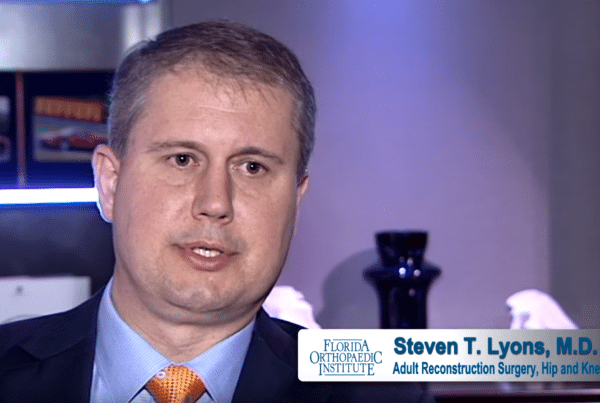 Ask your Florida Orthopaedic Institute surgeon is an implant made with VERILAST technology is right for you. 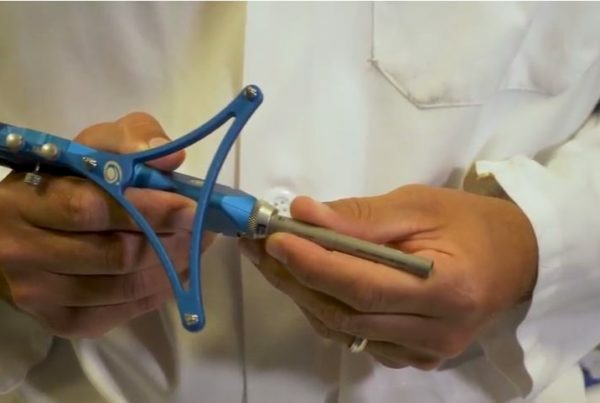 Florida Orthopaedic Institute continues to embrace advanced and state-of-the-art techniques and instrument tools for all surgeries. 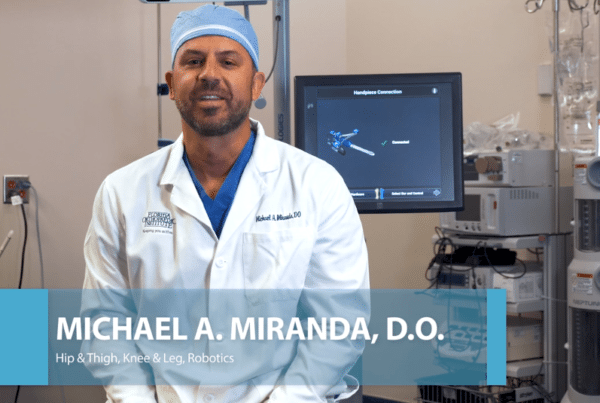 Specifically, for total knee replacement procedures, we use the Mako Robotic-Arm Assisted Technology. 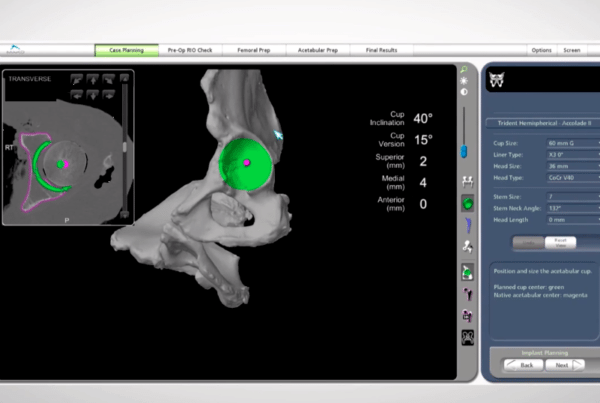 Your Florida Orthopaedic surgeon uses the Mako System software to create a procedural plan before your surgery. 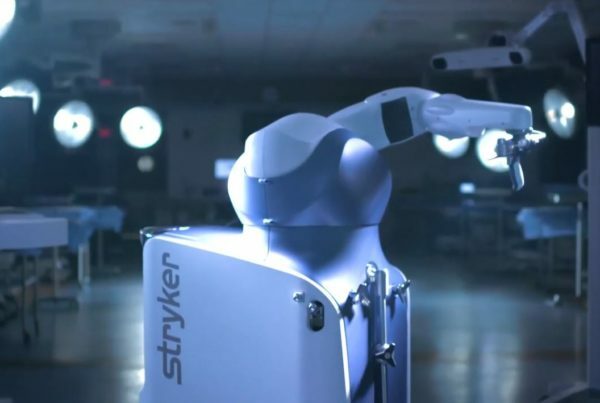 Using this pre-planned strategy, your surgeon guides the Mako robotic arm to remove diseased cartilage and bone. Your doctor then inserts your knee implant. 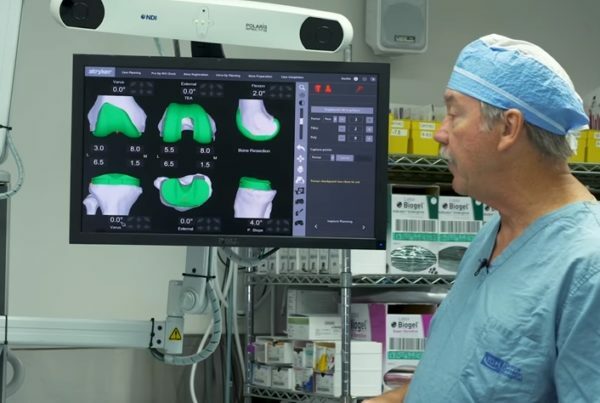 Mako technology was specifically created to assist orthopedic surgeons to deliver a personalized surgical experience based on your specific diagnosis and anatomy. It preserves healthy bone and soft tissues as well as assisting the surgeon in positioning your implant. 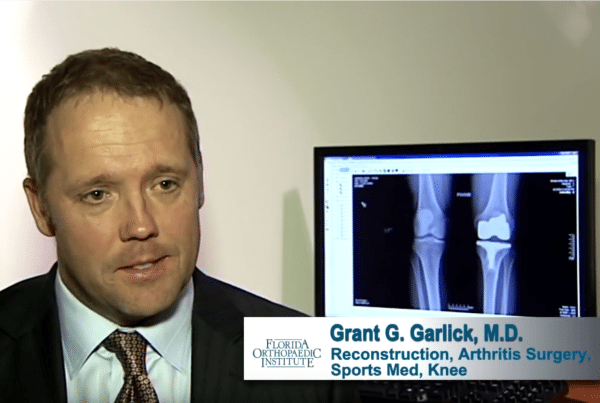 If you are experiencing chronic pain in your knee and are frustrated about not being able to function normally, Florida Orthopaedic Institute’s recognized and distinguished orthopedic surgeons can help. Please call 813-978-9797 to schedule an appointment to confer with one of our specialists. Anthony F. Infante, Jr., D.O. 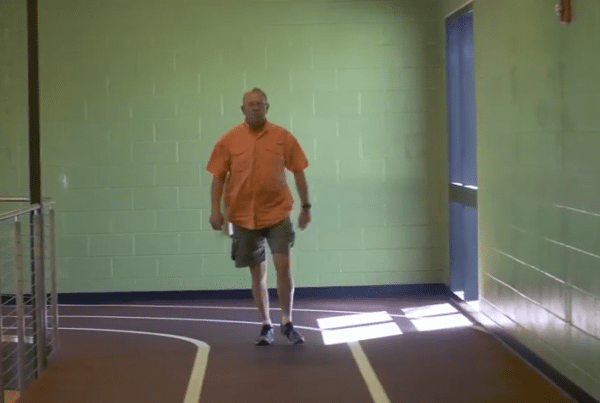 See how Dr. Bernasek helped one patient stay active after a knee replacement.